The Divemaster Apprenticeship Programme is a 4 month full time programme that takes you through all aspects of your Divemaster training while working in the dive centre. You will develop through the programme into a dive professional ready to start a career in the recreational dive industry. Be sure to review our website for all the information regarding this programme. 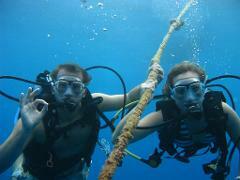 Any fees paid are for your personal accommodation or PADI manual and certification fees. There is no fee paid to Pacific Divers for this programme. The time commitment is 6 days a week for 4 months. Days are 8am to 6pm, so you will be busy, but there is plenty of time for fun too! Staff BBQ’s and good times! 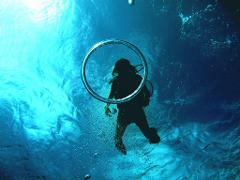 Prior to taking part in any PADI dive training you are required to complete a dive medical questionnaire. This can be found at www.pacificdivers.co.ck/Medical.pdf. Ensure a doctor has completed and signed it. If you require this to be completed in the Cook Islands there is a cost of $50 for the doctors consultation.